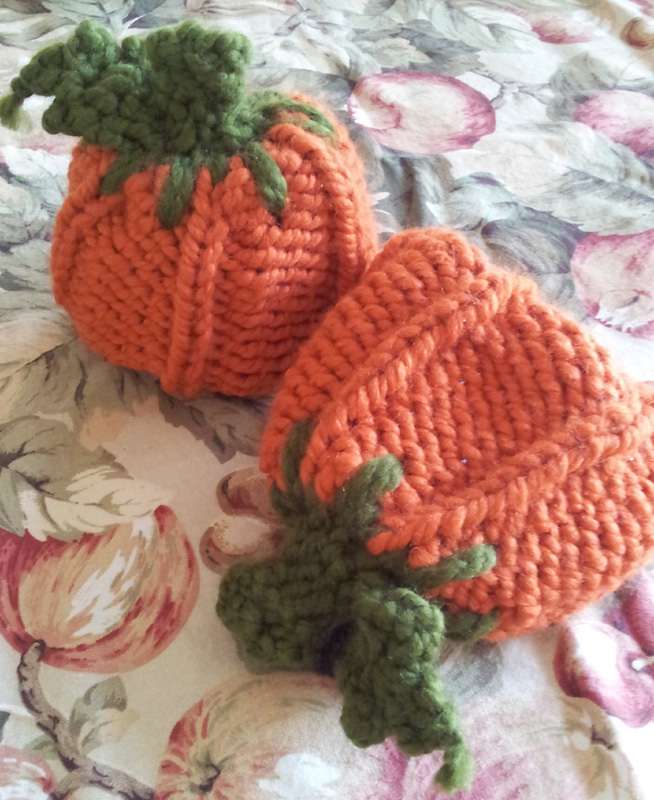 Join me THIS FRIDAY, September 20, 2013, and learn how to create an adorable little Pumpkin Hat from beginning to end! 😀 The fun will begin at 1pm PST until 4pm. The pumpkin is created with loom knitting techniques, then the stem and leaf are created using crochet, every step described in very easy to understand directions on my brand new Pumpkin Hat Video to be released on Friday…perfect for newbies and veteran loomers/crocheters alike! Come and create a ‘lil pumpkin head for your own ‘lil punkins with me! Instructions are also included to make pumpkin hat sizes for the whole family. and of course, your loom tool, yarn needle, and scissors. This brand new Loom Along video we will be using on Friday was actually filmed last fall in 2012, but I have just finally found the time to complete the editing, lol. It is a tad over an hour long, because I go through each step so you won’t get lost anywhere in the project. So, sometime this week and before you click the play button, be prepared with all your pumpkin making supplies (*see list above), a cuppa tea, and a nice cozy chair. 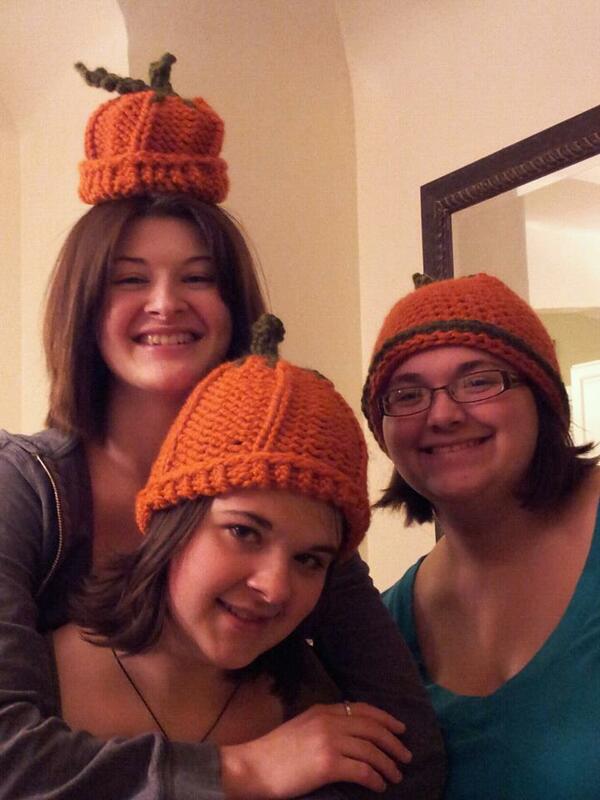 When we’re through, you’ll have a lovely little pumpkin hat to help usher in the Autumn season with style! Any questions or comments as you go through the project can definitely be placed below the video post on Friday in the comments section and I will be able to answer you directly through there. Just make sure to refresh your screen, or click the “notify me of follow-up comments via email” button for the newest info and comments! 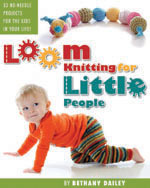 This entry was posted in Classes, Crafting, Family Fun, Free Loom Patterns, Holidays, Kids, Loom Alongs, Loom Knitting, Looming Patterns, New Projects, Project Preview, Tutorials and tagged Autumn, babies, Bethany Dailey, Crochet, Family Fun, Free Loom Knitting Patterns, Gettin' It Pegged!, gettinitpegged.com, Kids, Loom Alongs, Loom Knit Pumpkin Hat, loom knitting, loom knitting patterns, pumpkin, Pumpkin Hat. Bookmark the permalink. Very good point, Amanda, haha! OK Thank you! The crochet stitch is what is going to be difficult for me.